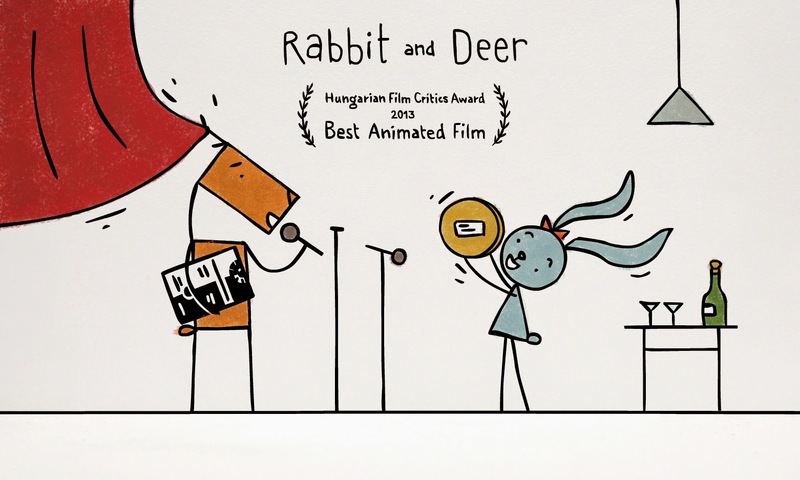 Rabbit and Deer is my graduation film from MOME Anim in Budapest, Hungary and it took me a year and a half to make it with the great help of my friend Attila Bertóti. Since I finished the film in 2013 it has been screened in 63 countries at more than 300 festivals and won over 120 awards. People's reactions to the film have been just wonderful and I'm grateful for all the kind words and support I have had. In this making of post I will go through the whole creative and technical process including the question of 'how should I promote my film after I finished making it'. When I started my graduation project I had no idea what kind of animated film I was going to make but I tried really hard to figure it out as soon as possible because I decided to stick to the one-year deadline (at MOME you have the chance to extend your graduation by a year and in animation people tend to do that). I collected different ideas that fascinated me in general and one of those was mixing different animation techniques. I was really curious about how puppet animation could interact with 2D drawn animation whilst telling a story with them. Even though it's an exciting idea by itself I was still missing the essence - what kind of story was I going to tell and who would be its heroes…? Have you ever had the feeling that your friend looks exactly like an animal? Well, once my friend said I looked like a deer, which started a funny role play between me and my ex-girlfriend who looked like a rabbit. 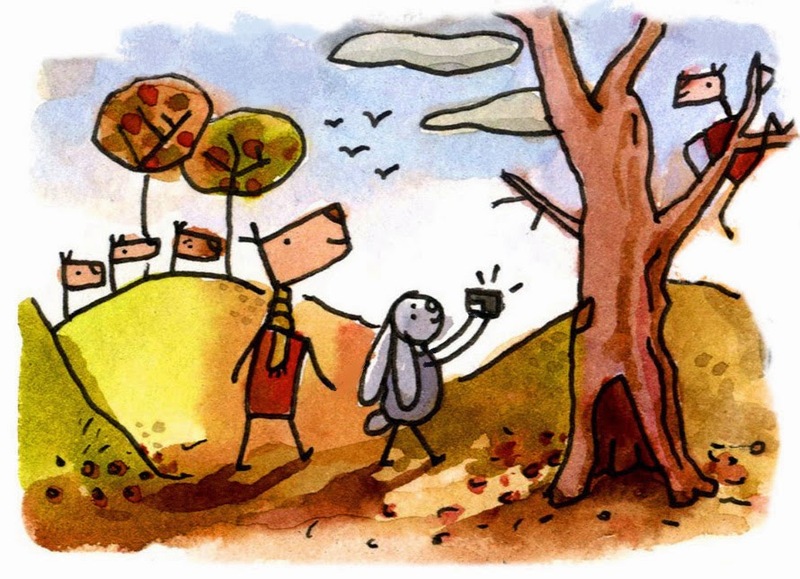 I started making illustrations with these two animals based on moments we shared together and soon Rabbit and Deer became independent characters, separate from their creators. I found my two heroes but the story was still a big question mark. I started thinking about why I could relate to these characters and I realized that it was 'their' happy moments and silly fights, inspired by our everyday life, that made them so special. I quickly began to collect all these little details and turned them into sketches. After Rabbit and Deer came on board as the main characters I soon decided that I would use/mix two animation techniques to tell their story. 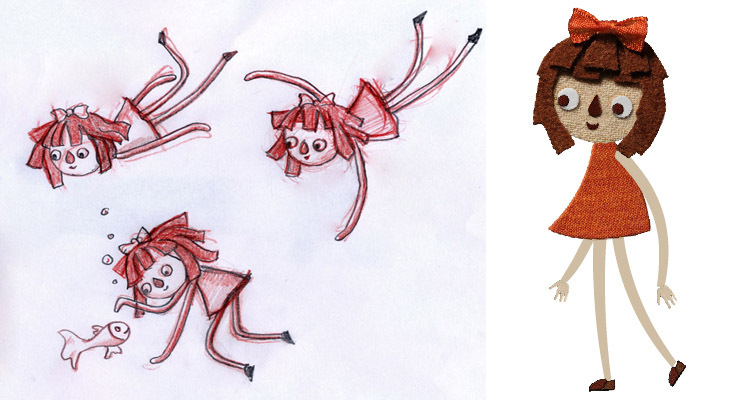 I chose puppet (stop motion) and hand-drawn (2D) because of their contrast and because I love working manually. 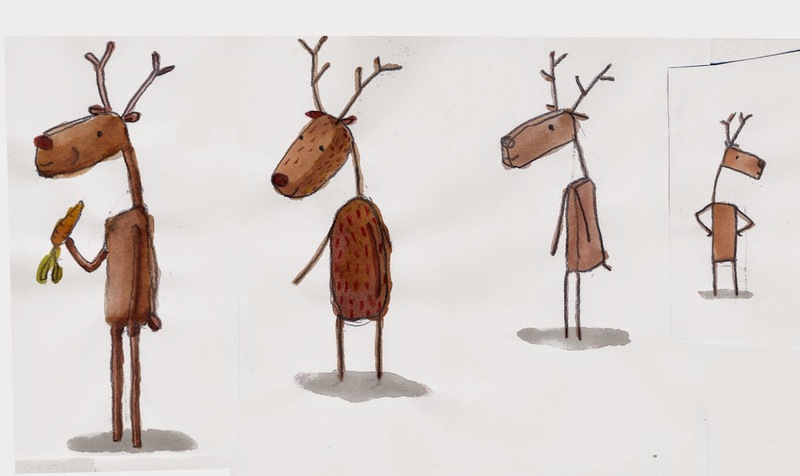 I'm more of a visual person but whilst making Rabbit and Deer I was also writing as I was trying to discover more about the two characters' personalities and feelings (often just lying awake at night). 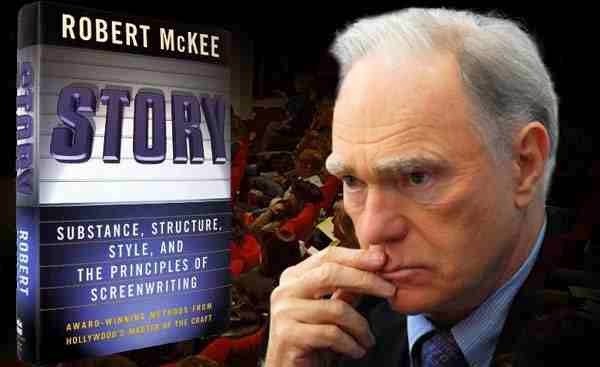 During this process I started to read Robert McKee's STORY which is a great book explaining the principals of storytelling and scriptwriting whilst referring to the greatest films of all time as examples. 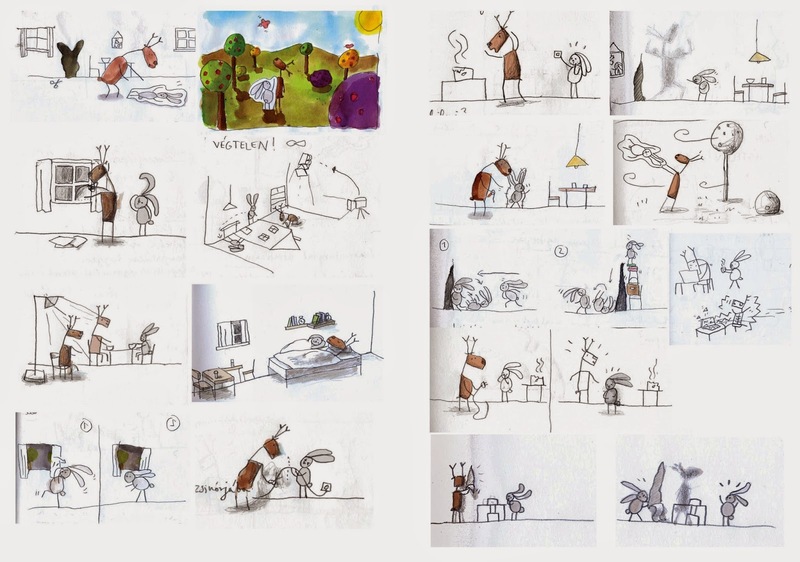 It gave me many ideas to find the best way to tell and form the story of Rabbit and Deer. 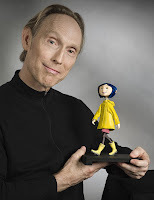 In the meantime I also had to write a longer thesis for which I choose Henry Selick's body of work in relation with the history of puppet animation. I read many great books on stop motion, and the making of his films (The Nightmare Before Christmas, James and the Giant Peach, Coraline…) which inspired me a lot from both story and technical point of view. 1.4. Who is the target audience? So… I was asked by my consultants at film school the question: who will be the target audience of this film? Children or adults? I never liked this question… Everyone who has feelings and emphathy is my 'target'. I'd like to believe that I can make films that reach people's heart no matter what age they are. Nevertheless I still had to decide whether the characters were friends or lovers. In the beginning I planned on it being a relationship but I couldn't find a healthy balance so I decided to simplify things and turn it into a friendship which worked better. In the end I believe it became a delicate mixture of the two which leaves more space for people's personal interpretation. 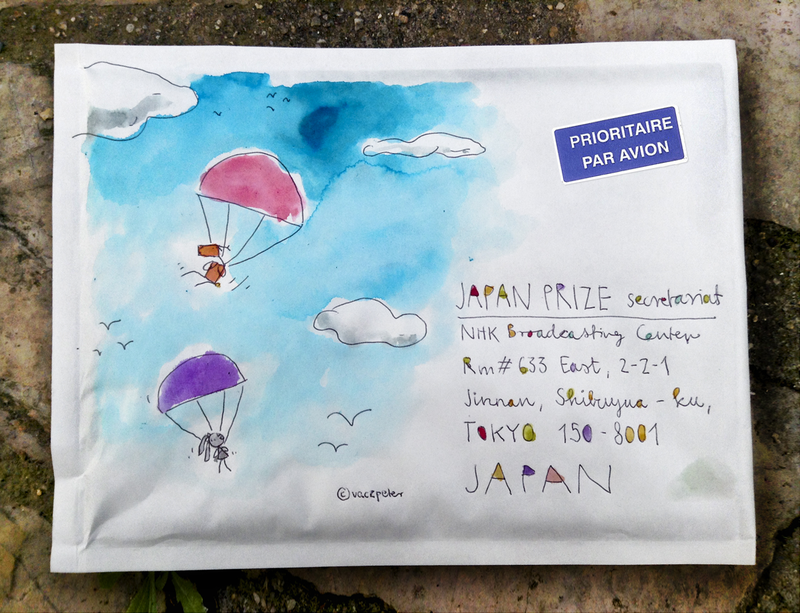 Rabbit and Deer's 2D world is set on a paper plane that stands on the edge of the 3D world. It's like a slice or the projection of the three dimensional universe. For the sake of the story and the world's authenticity I really had to simplify the look of the 2D world which meant that there couldn't be any perspective distortion or overlapping objects. When the story's main plot was set I knew it was going to be too big of a project for me alone. I needed someone who could help, someone who would understand all the aspects of directing animation and someone who could be there even in the hardest moments and say 'it's not good enough'. I was very lucky to have Attila Bertóti as a classmate and who's work (Ariadne's Thread) I respected very much and who said yes when I asked him to join me. 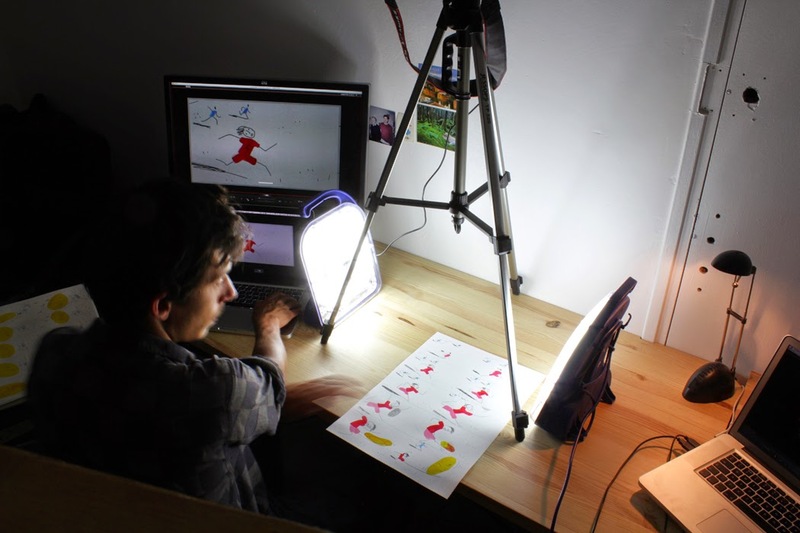 Attila started to work with me on developing the animatic and helped all the way till graduation. I also had a lot of help from the lecturers of MOME Animation department; Rita Domonyi, Zsolt Richly, Judit Czakó and József Fülöp, director of MOME who produced the film and got around €6000 of funding for the film's production and ensured a studio space and equipment in the university building. I love The Gruffalo by Studio Soi. It has beautiful design and style, every detail is perfect and the characters are loveable. The magical music from René Aubry makes the whole film very special. My other big favorite is Wes Anderson's Fantastic Mr. Fox. A unique piece of puppet animation from a live-action director with an amazing soundtrack. 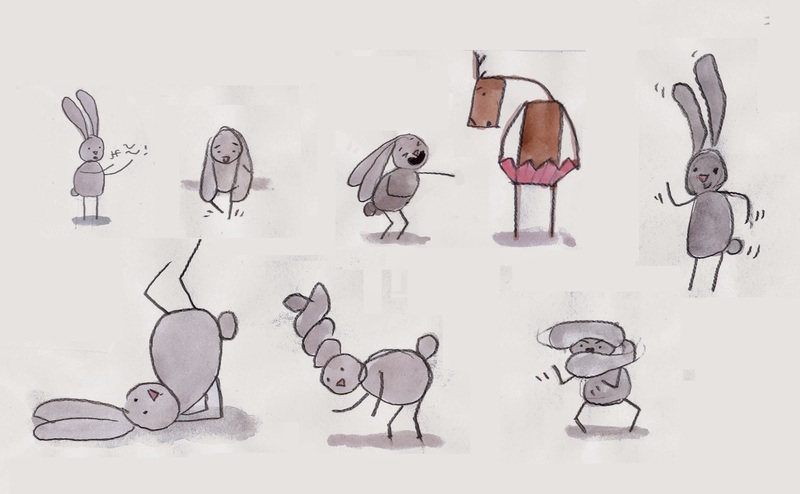 For the 2D part of my film I would have loved to have achieved something as delicate as the style of Patrick Doyon's Dimanche or Caleb Wood's Stay Home has but I had to simplify things… still, I love those films. 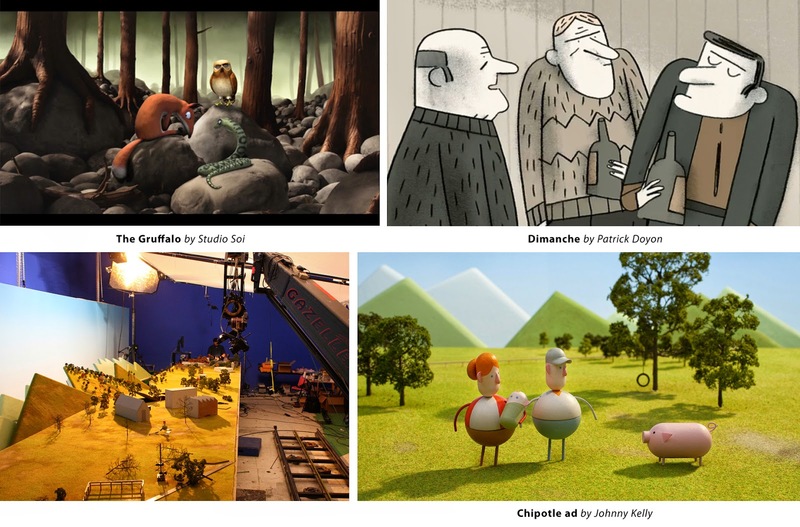 As for Deer's puppet and the 3D quality, I got some good ideas from Johny Kelly's Chipotle advert. Whenever I got stuck I tried to re-inspire myself by watching these films and analyzing the use of music, design, animation, characters, colors and storytelling. I always tried to develop the whole project in unity because each part defines, forms and inspires all the others. It's a constant conversation between the different elements of the film (materials, characters, acting, sound, music…etc). I realized that I couldn't very well ask for help until I knew exactly what I needed help with. If I didn't figure out and plan every little detail before handing out a task, my project would loose its authenticity and it would have been a painful waste of time. That was the hardest part because after a while I needed help with all the different aspects of the film (animation, set and prop design, coloring, sound design, etc.) to be able to finish on time for graduation. 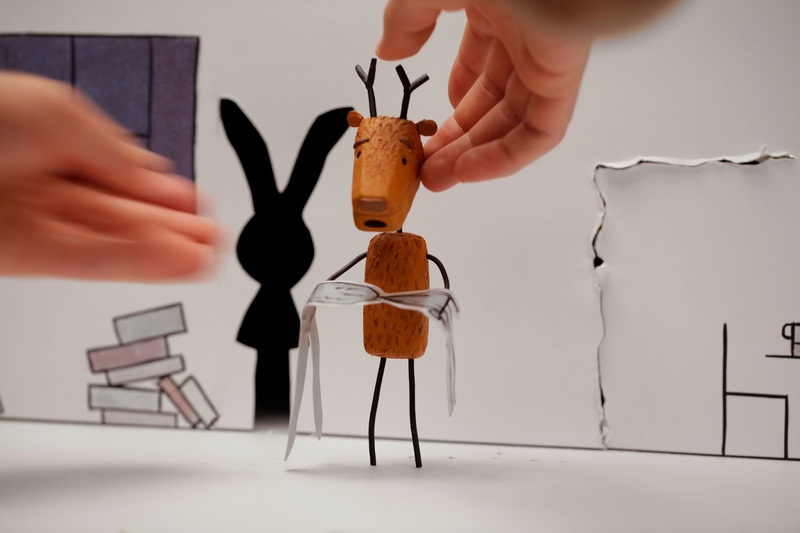 The first challenge was to transform Deer's simple rectangular body into a three dimensional puppet that still looked like the 2D version of him. After I drew some sketches I made two simple prototypes to figure out how it might look and function before making the more sophisticated and time-consuming final version. I sculpted the body from styrofoam and covered it with car repair putty to harden it, but probably now I'd use Sculpy which is great for sculpting and also bakeable. For the arms, legs and neck I used 1-2 mm aluminium wire covered with heat-shrink tube. Inside the body there is an inner structure with brass tubing (K&S) and screws so that I could replace the limbs if the wire broke whilst animating a scene. The two halves of the body were joined by a strong magnet which made it easy to open it and change things. For the head I decided to use replacement mouth shapes to animate his facial expressions – the same techniqe used in Nightmare Before Christmas, Coraline and Laika's newest feature films. Every mouth shape was modeled in 3D software and printed out as real objects by a high-res 3D printer. To attach and replace the mouth shapes I inserted a magnet in the head and glued little metal pieces to each mouth. For the eyebrows and eyelids I used plasticine. 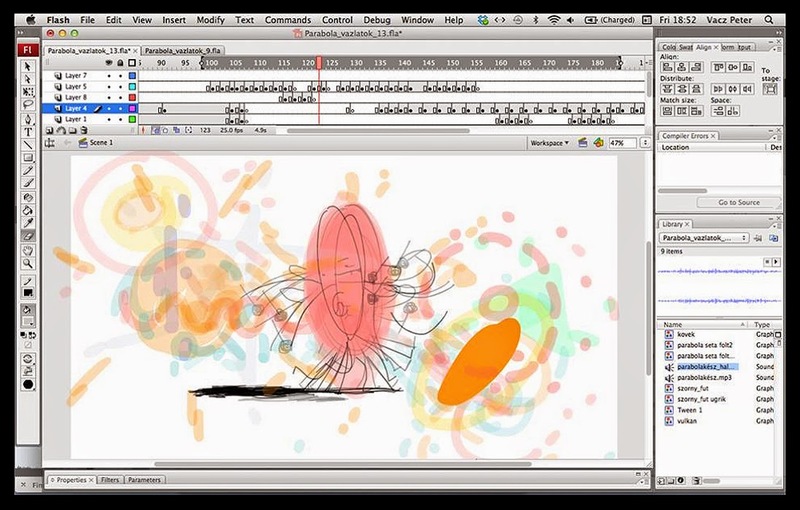 The film's first 2D part was animated entirely in computer using a Wacom tablet with Adobe Flash and colored in TV Paint software. 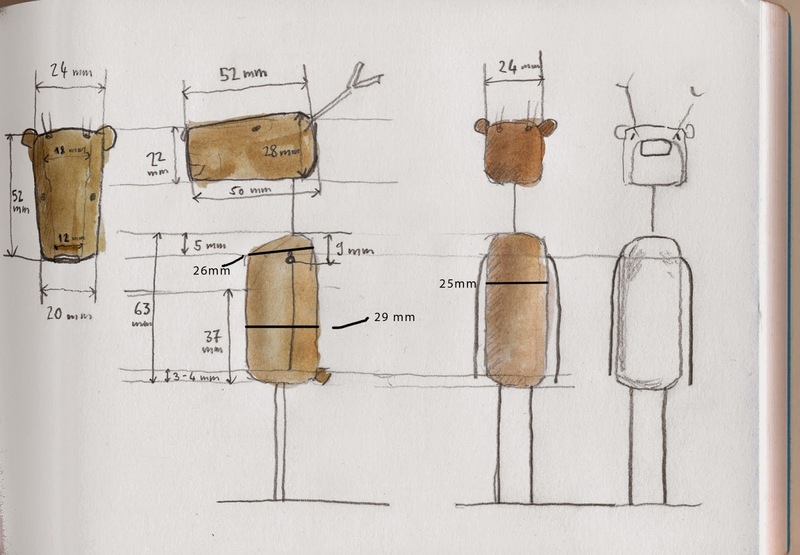 The puppet sets were more complex and complicated but a lot of fun to work with. For the puppet animation I used Dragonframe software and a Canon 60D camera. 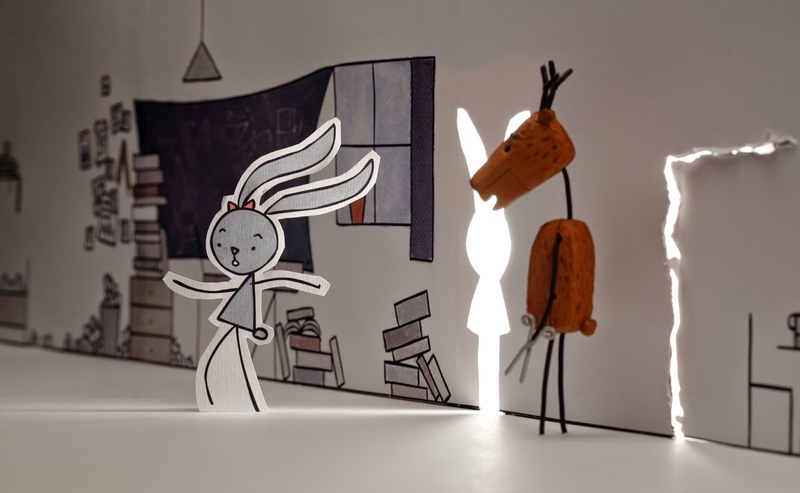 After Deer cuts Rabbit from their 2D paper plane world she also became a 'puppet' but instead of one she had a print for each posture of her movement which I was replacing frame by frame as the animating went along. Music is as important for me as the image, although it works differently. It supports the emotional part of the film because it has an immediate subconscious impact on us whilst processing the visual part is more of a mental task. I love the music of René Aubry so much that I decided to use one of his songs Dare-Dard for the opening sequence for which fortunately I could get the rights cleared. From the animatic till the film's first rough-cut version I mainly used already existing songs and film tracks to have a basic set of audio mood. 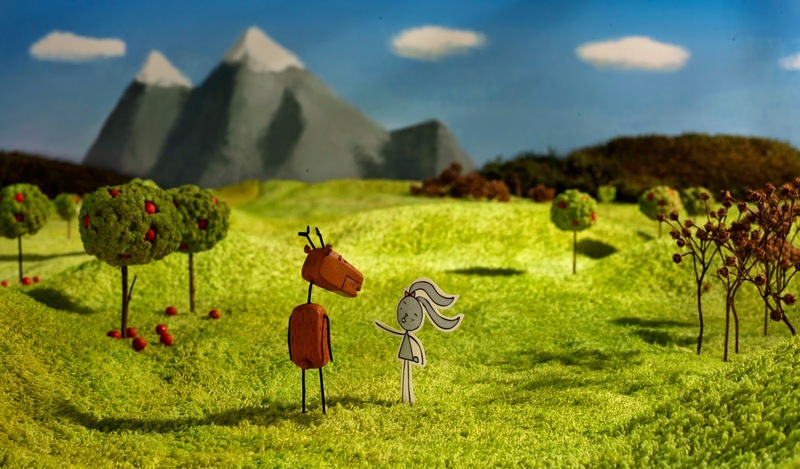 After the whole film was animated and edited we could focus on composing the film's original soundtrack and create an accurate sound design both made by the talented Hungarian musician Máté Hámori. It was great to work with Máté because he believed in the film and he was opened for discussions which is very important for me. He added so much to the film with his precise and creative work. As for the ending song I used The Marshall Tucker Band's Can't You See for almost a year but I couldn't clear the rights for it (due to the record label's passive communication) which led me to the fortunate act of asking Mahdi Khene (a musician friend of mine) if he'd be up for writing one instead. He basically sent me 'Listen' the next day, a beautiful song inspired by and written for the film itself. I'm very happy with it. I wanted to be as professional as possible not only with making the film, but with promoting and distributing it as well. When we create something, we tend to believe that finishing the creation is the end of the process but if you want to make a living from what you do you must communicate about it. I use the film's Facebook fan page to share news, updates, artworks and to interact with my audience which is very important for me. Even though I knew people liked the film from previous screenings I had no clue how would it do on festivals. Ideally we wanted to get the film into one of the major festivals like Berlinale or Cannes but they didn't select it for their competition. 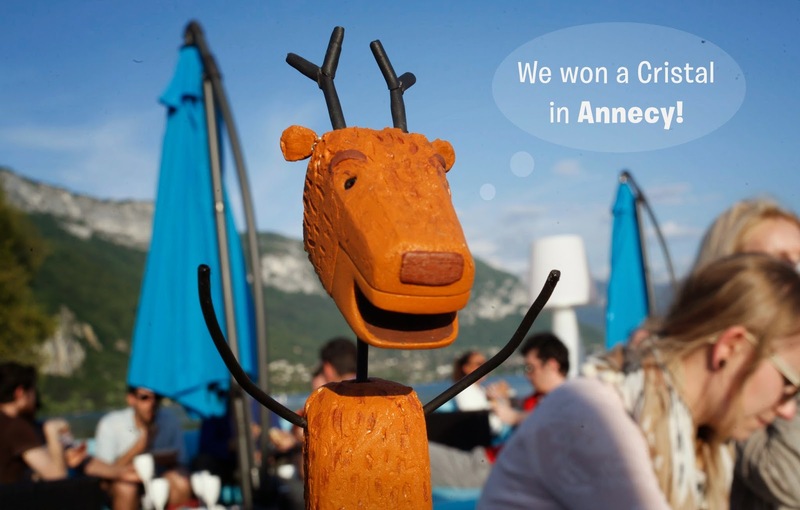 It didn't get me down because I knew there are so many others and in the meantime I won my very first award the Hungarian Film Critics' for Best Animation which was fantastic and reassuring. I even made a little short film on my way to the Annecy film festival (inspired by one of my exemplar Juan Pablo Zaramella who did a short pixilation the previous year). I'm very happy and grateful for having such an amazing reaction to my film in the end. But winning over 100 awards isn't always easy to process. I had to learn to take them and stay down to earth, grateful, without feeling guilty or having any other weird feeling. With time I slowly understood that they are not shiny glorious badges but each of them is a 'word' of appreciation, love and a wish to share it with other people. 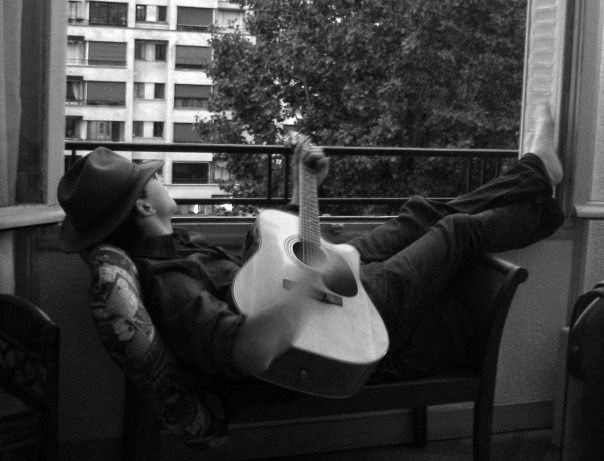 Throughout my many travels to different countries and festivals I had some wonderful moments which I will never forget. Once I was at a big Spanish festival where I presented my film personally. After the screening I was trying to go through the crowd when a woman suddenly appeared in front of me gently grabbing my arm, kissing me on my cheek and leaving without a word. I just stood there and felt very happy and honored. Other times older people came to me with warm smiles shaking my hand strongly or children with wondering eyes looking at the puppets and asking for autograph for which I always add a nice drawing and a few kind words. 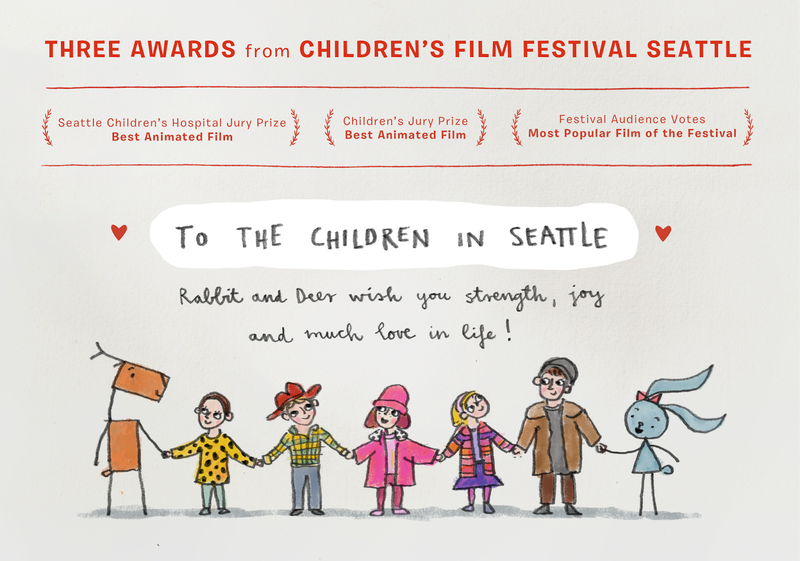 Illustration for the children in Seattle. It's just magical to see people from different countries and from all ages being inspired and happy all because of a 16 minute shortfilm that I made with love. A quirky 1-min animation based on a silly Hungarian children's poem by the recognized Lackfi János, preformed by Busa Pista a superb Hungarian beat-boxer. I've got this job from MOME Anim, the university I graduated from. It's been years now that the Uni runs these series called 'animated poems' as part of the workshop tasks. 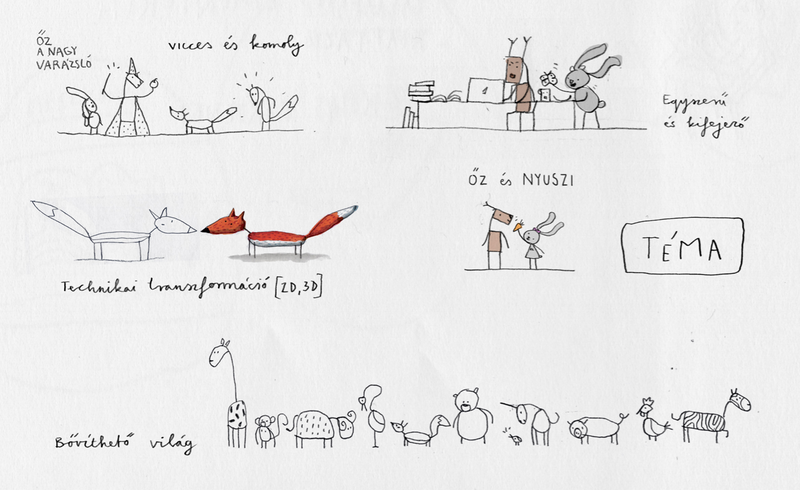 The aim is to make Hungarian contemporary literature available for children. My earlier film Patakiskola (Streamschool) from 2010 was also part of this pursuit. Each frame was hand-painted with water color. As a start I got to choose from a bunch of contemporary poems for children. 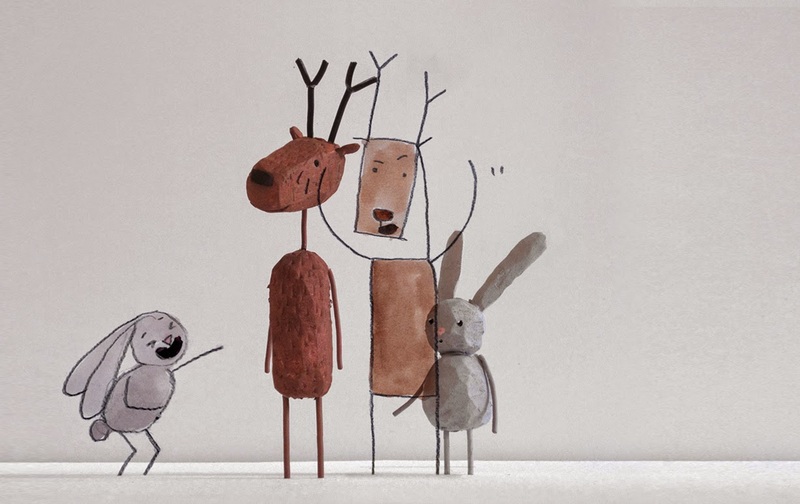 I found Parabola (Satellite Dish) the most fun and entertaining and it seemed to be a quick production in terms of animation (which I was happy for after making an epic graduation film Rabbit and Deer for a year and a half). János Lackfi is one of the main character of Hungarian contemporary literature and I'm glad that I can share his fantastic work both nationally and internationally. The first important question was the audio track on which I always place great emphasis. I wanted to break the convention of 'boring' voice over narration and Lackfi's Parabola was a perfect piece for that with it's snappy, playful style. 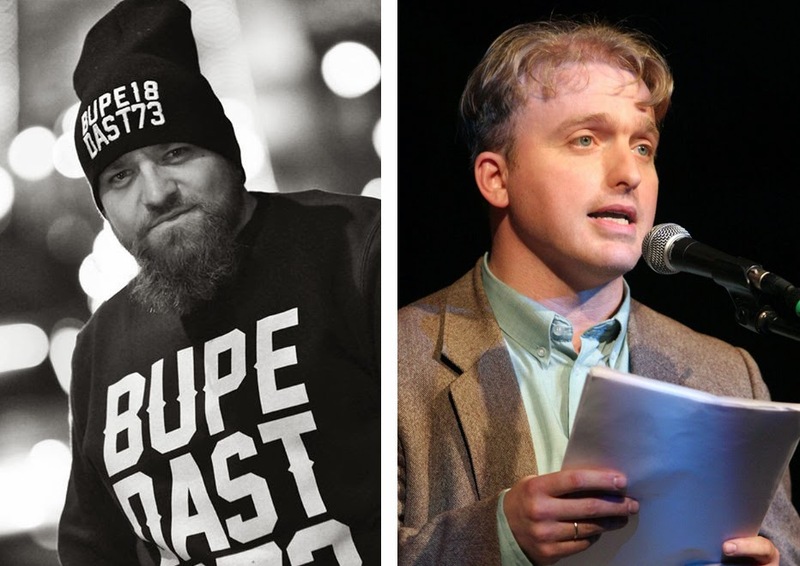 That's how I came to ask Pista Busa – one of Hungary's best rapper, beatboxer – to perform the poem. After Busa made the awesome one-min soundtrack I started to work on the animation in Adobe Flash using a drawing tablet. My main thing in animation is to always find a way to include something handmade, something real even if it's mainly done on computer. This way there's always going to be some unique touch that's only yours. The last part was to capture each frame in order so that I can line up the whole movie again in the computer and export it. For this I used a Canon 60D camera, two Faithfull Task Light and the Dragonframe stopmotion software. Shooting back the painted frames. 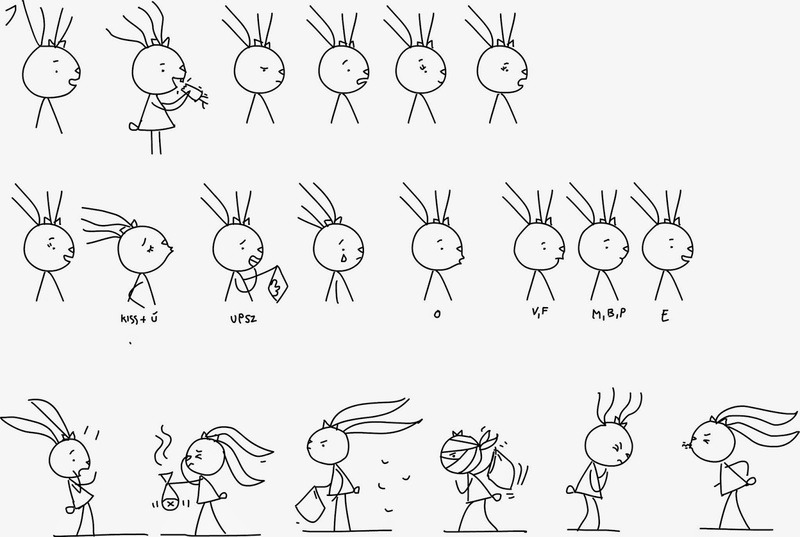 I often think about how an animation filmmaker can show all the effort and work that goes into making a film by creating each frame one by one. I think the 'result' of this project is a good example to map down the actual film to a physical artifact. 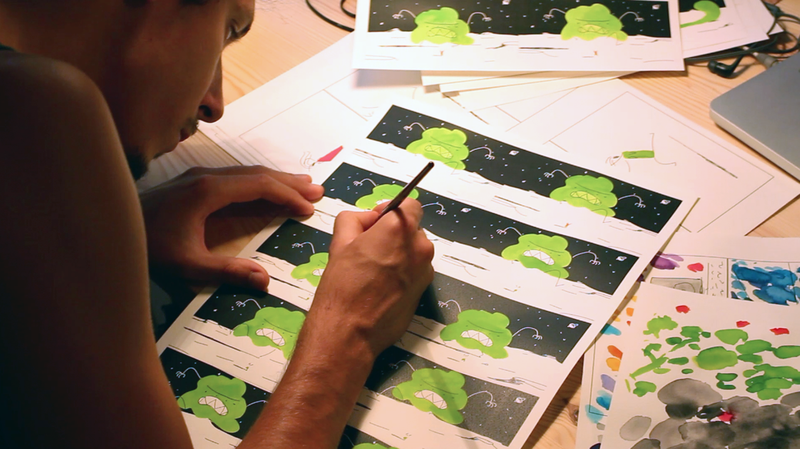 50 sheets of paper with 500 hand-painted frames = 1 minute animated film. 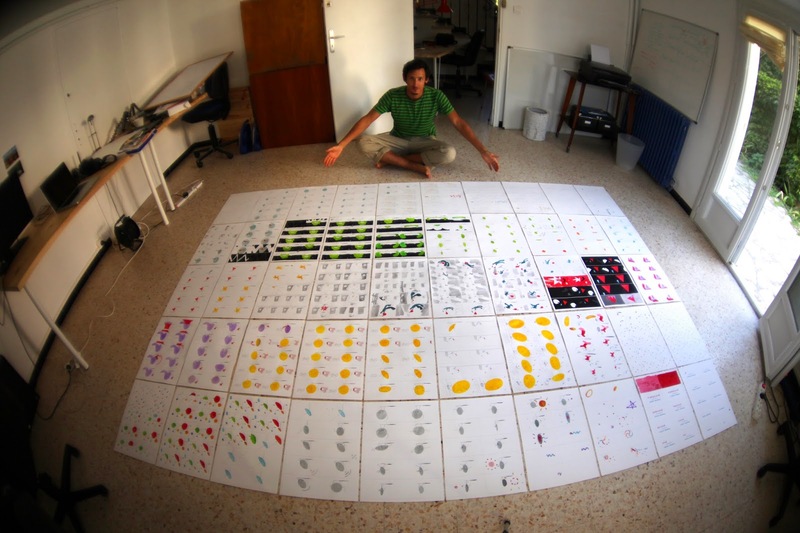 The whole film laid in front of me - 500 painted frames. I always try to make all my works available and understandable to everyone and that's the reason that there's an English version too. The brilliant translation was made by my friend Joseph Wallace who is an award-winning film and theater director. Check out his great films on his Vimeo page. My listening is much better. Mivel különösen szeretem a bábanimációt, viszont magyar vonatkozásban alig található róla naprakész szakirodalom, úgy döntöttem, hogy a műfaj egyéni és különleges nyelvezetét fogom megvizsgálni szakdolgozatomban, a híres rendező, Henry Selick (Karácsonyi lidércnyomás, James és az óriásbarack, Coraline és a titkos ajtó) munkásságán keresztül. Dolgozatomban röviden összefoglalom a bábanimáció közel egyévszázados történetét és rávilágítok, hogy mitől olyan különleges ez a médium a többi animációs technika mellett. Mindezt Selick varázslatos filmjeiből kiragadott példákkal illusztrálva. Élvezetes és hasznos olvasmány mindazoknak, akik vonzódnak a bábanimációs/stop-motion műfajhoz és szeretik Henry Selick filmjeit. Streamschool was my graduation film in BA Animation at Moholy- Nagy University of Arts and Design. 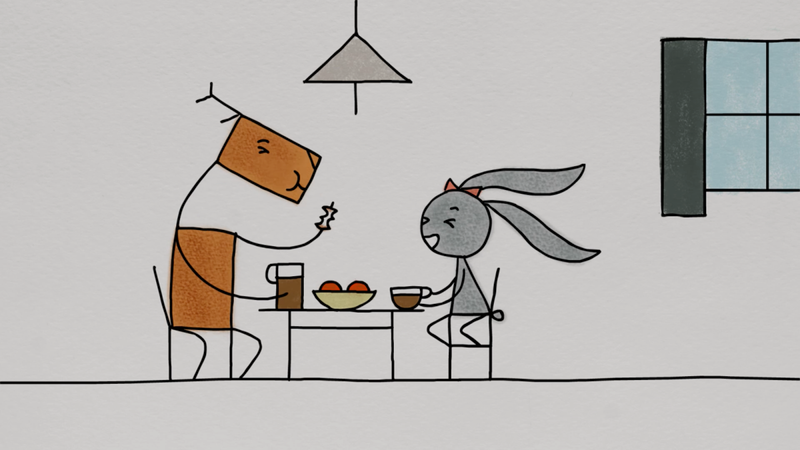 I chose the poem from a Hungarian contemporary poet called Zsolt Miklya to make a short film for children. The production was only two months long because at the same time I was attending an animation course called ASF (Animation Sans Frontieres) and the rest of that term was really short. 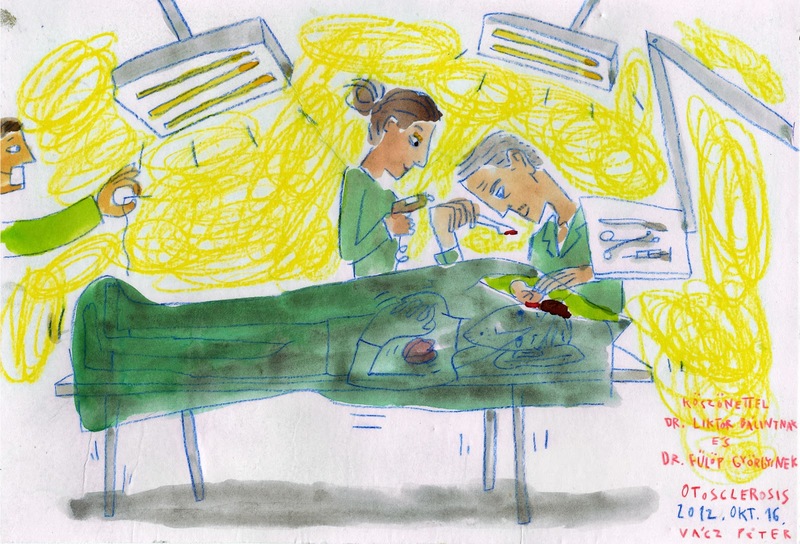 When I had the final idea in mind I asked my friend Kati Egely to do the backgrounds for my film (she makes beautiful pictures and puppets using different textiles). We planned out the timing and the storyboard roughly together and then she sewed the backgrounds. 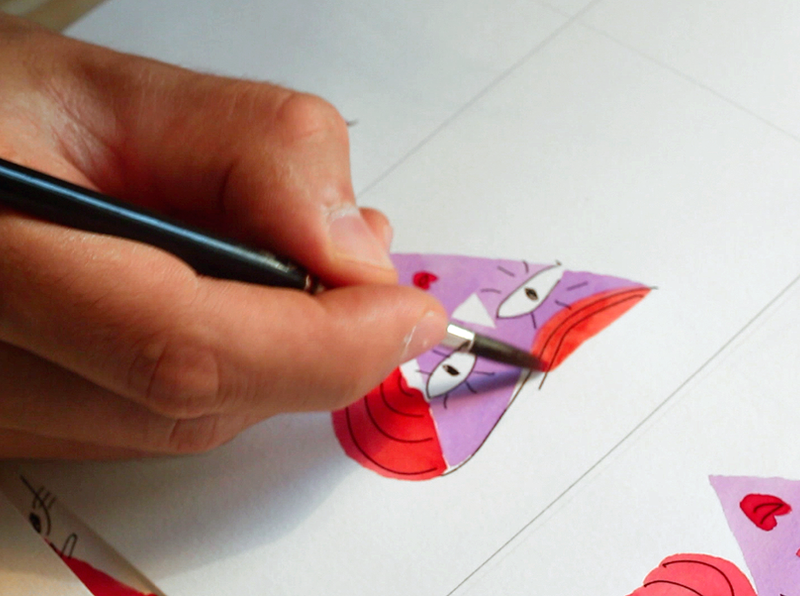 Then I designed the main character "Dora" who travels through and explores this beautiful imaginary world. After the tests the production has started. I used the Dragon stop motion software to shoot the film which is an amazingly helpful software and the best to make stop motion. To be able to animate the characters and the backgrounds on more layers I built a small layered glass table. Process from the shooting until the final result. Another important choice was that at the beginning Dora (the little girl) wasn't planned to be in the film's beginning and I didn't want to re shoot the previous scenes so I animated Dora over the already done stop motion backgrounds in flash. When all the scenes were finished I could start working on the sound design and the composition. My biggest inspirations in the animation style and mood were two films; the well known Her morning elegance and another great cut-out music video called Hello Antenna. Because I wanted to be fast but still have a professional result at the end I made test animations in flash for the more complicated parts to use them as a guide animating under the stop motion camera. Here are two of them: "fish jumping" and "big waves coming". I was quite fortunate finding this beautiful piece of music which became the theme of the film. 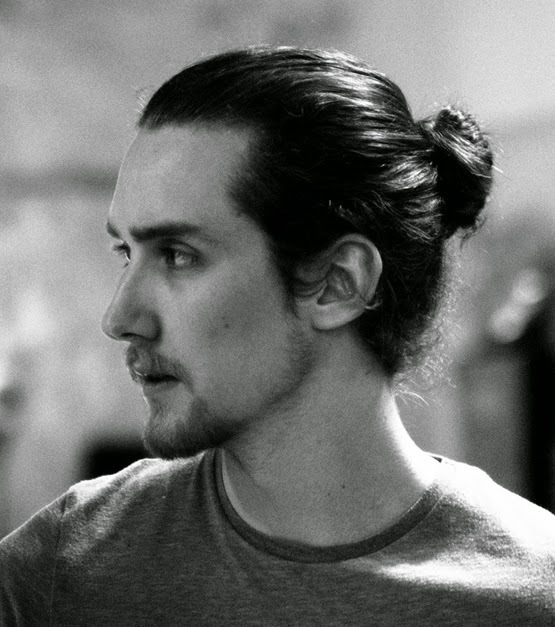 The composer and also graphic designer is a talented guy called Ábris Gryllus known as YVEIN MONQ. The Hungarian narration of the film was told by Piroska Molnár one of the most famous actress in Hungary. I wanted her to narrate it because she has such a strong but still warm character like a grandmother and a huge experience in her past. My friend JOSEPH WALLACE (a talented British filmmaker) made the English translation and THOMAS VILLEMONTEIX the French which was narrated by the actress MURIEL RACINE. I could finish the film blissfully at the end of May just before my graduation was. It was greeted quite well at the animation department in MOME. It has visited 10 international festivals, small and big ones. I plan to continue this project as a series of poem animations (after I graduated in MA) using and developing this wonderful spectacle and technique to let both children and adults wonder and explore in new exciting and imaginary worlds. I make animated films and play the cello. 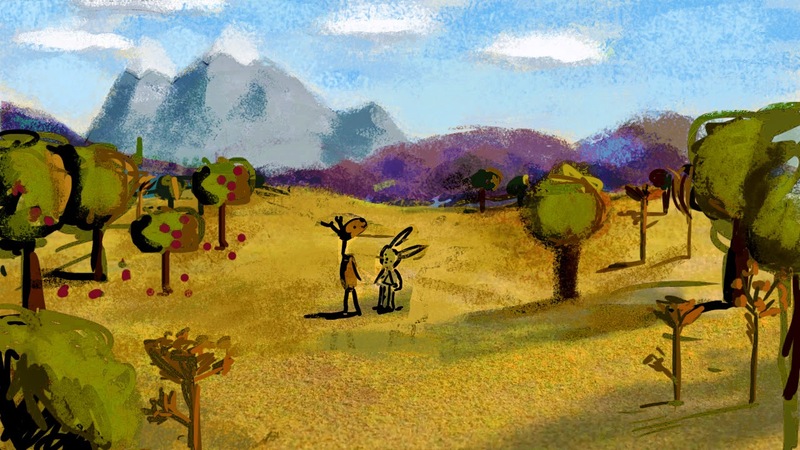 My graduation film 'Rabbit and Deer' from MOME Anim has traveled around the world and won over 100 awards. I'm also proud of my other films; Streamschool, All I'm Saying and Satellite Dish. Thank you for visiting!